One of the hardest parts of getting ready for the Whole30 is finding great recipes you will love to eat. With over 50 chicken, beef, pork, vegetarian and seafood recipes, this list is PACKED with great dinner options so that you can pick and choose and fill a whole month with meals to suite your taste. Not only that but we made sure that this list had a huge variation of styles, meats, and flavors so that you don’t get bored eating the same types of things over and over. 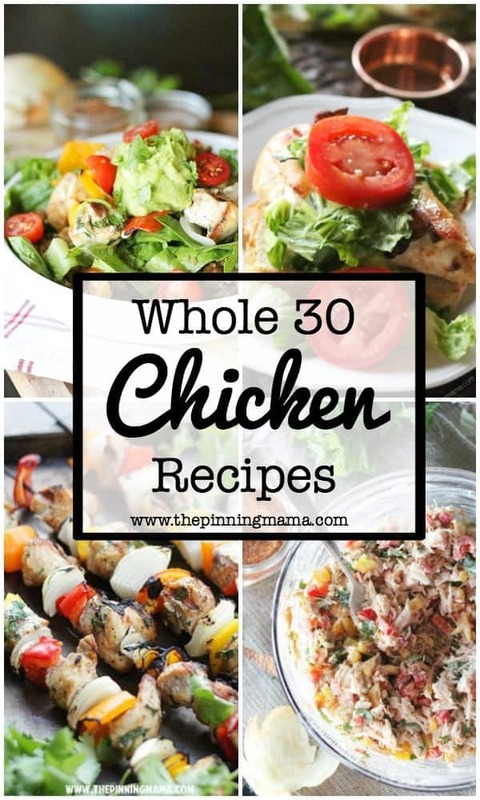 I have to admit, this list started as a 30 dinner recipes for whole 30, but as I gathered the meals I wanted this to be the most helpful and have enough options to give everyone enough recipes that they would absolutely LOVE to fill up a whole month, so it has grown from 30 to over 50 recipes now. Hopefully you will fill your whole menu in one stop! Let me know in the comments if you have any favorites I missed! 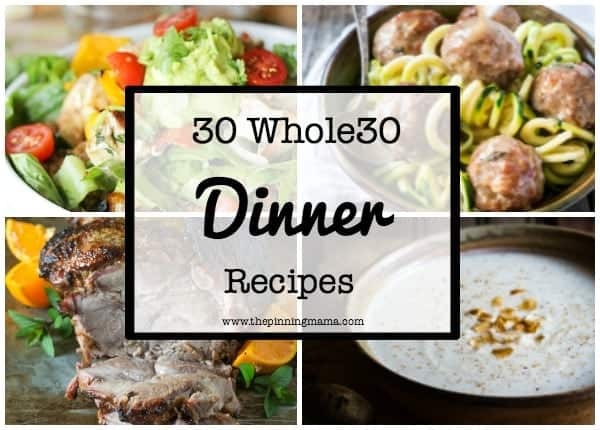 50+ Whole 30 Dinner Recipes with Variety! The Whole 30 diet has several very specific requirements that can be a challenge to find so I compiled a good number of our favorite recipes that meet all the requirements with little to no modifications, which means less work for you! 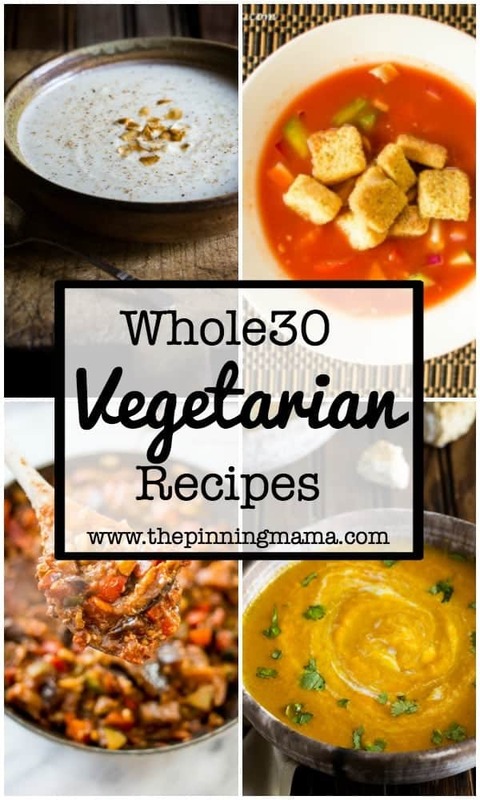 90% of this list is ready to go for Whole 30, but a few of these require very slight modifications like no cheese on top or serving with a whole 30 compliant side like veggies, cauliflower rice or sweet potatoes instead of rice or breads. All super easy fixes, and most are marked, but if it is on the list you better believe it is delicious and worth including! If you have a question on any recipe leave me a note in the comments and I can do my best to help out! I am a self proclaimed “chickentarian” so we eat A LOT of chicken in our house. When I did the Whole30 (you can read my Whole30 story here!) I created quite a lot of new chicken recipes, since I didn’t find quite enough online to fill up 30 days for me. Since chicken is such a staple it goes well with everything and has so many ways you can flavor and prepare it. Find some of my favorite chicken dinner recipes below from both me and some friends! Are you more of a red meat lover? My husband is so I try to incorporate it into at least a few meals a month. 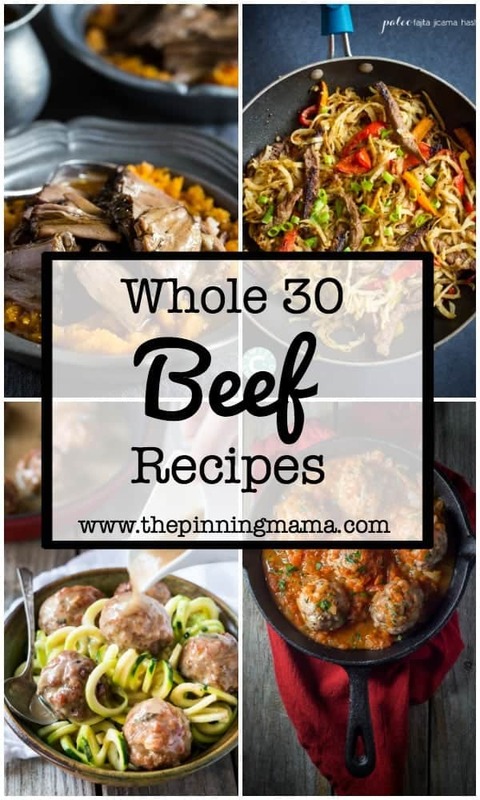 There are tons of Whole30 dinner options for red meat, and using both whole cuts and ground beef makes it easy to get so much variety out of one type of meat! Pork is a great lean cut of meat and can really mix things up if you get in a rut with serving chicken and beef for dinner. Chili Verde is a dinner favorite at our house and luckily it is easy to make Whole 30! I love turkey since it is not only close to chicken, which is my meat of preference, but also because ground turkey is easy to find, healthy, generally inexpensive, and super versatile in the kitchen. Most of the recipes below use ground turkey since, let’s be honest… who is cooking a big turkey, other than for Thanksgiving dinner?! I love to mix in vegetarian recipes once a week or so. It changes up the menu, and in general is a super heathy option. Soups make a really easy meal that goes a long way and is one of my favorite ways to cook vegetarian. Even though you usually think of soups for cooler months, Gazpacho is a great warm weather soup and one of my husband’s family’s long time favorite recipes! Find some other favorite vegetarian dinners below. I have to admit, I am not a seafood person, but I know that is a super healthy option and makes a great light dinner so I reached out to some of my friends and made sure to get some terrific seafood recipes to round out the menu for you! ***Do you have any Whole30 Dinner favorites that I missed? I would love for you to let me know which recipes you love most in the comments below! Awesome list! Thanks so much for including my recipe in your round-up, Kimber! Sharing!! You are so welcome Linda! 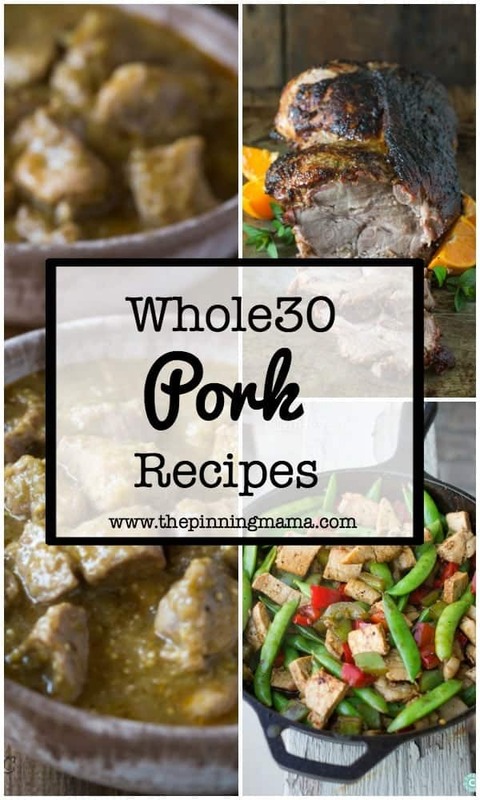 I love recipes that provide lots of flavor on Whole30 since sometimes it seems so easy to get in a rut!